Yep, it's IVs time! Started them last Thursday, kinda knew it was coming because although the tablets I had were making me feel a bit better they weren't making me feel better enough. I'm on them for two weeks, if I've worked it out correctly then I think these finish on Boxing Day which means I'll be on them over Christmas which is no big deal...I'm lucky me and my mum know how to do IVs at home so it's not like I have to stay in hospital! IV's stands for intravenous antibiotics, it's basically having drugs injected into your bloodstream instead of taking tablets or something. I have them when I'm feeling particularly crappy, when tablets aren't doing the trick and something a bit stronger is needed. I go to the hospital to get a needle put in my portacath, which is a little plastic bubble friend that sits under the skin with a tube attached to a vein. Mine is on my right hand side in my ribs right under my underarm so it's very out the way. It means no one can see the dressing and all that when I have IVs plus it's waaaay less likely to get knocked which is handy because the needle needs to stay there for two weeks. I would be totally lost without my portacath, it's seriously a useful little thing. 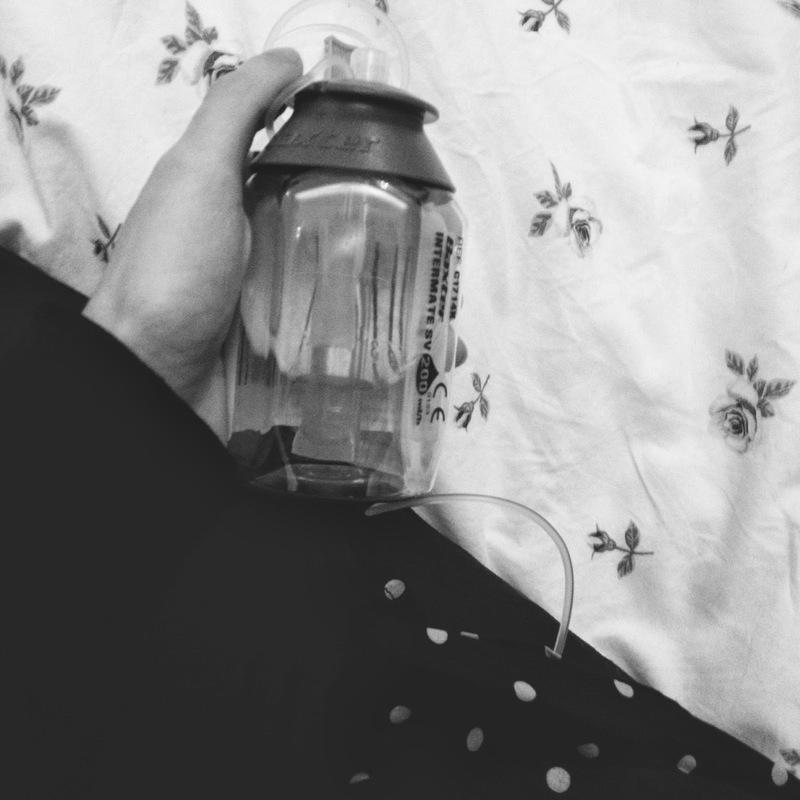 Without it I would need long lines or cannulas every time I have IVs which would be a massive pain...not only because they are ouchful but because I'd need to have them in my arm or hand, meaning I wouldn't have proper use of them for the whole course. For example if it was in my hand it would be hard to do simple things by myself, like wash my hair (the dressing and needle can't get wet) or even type on the laptop. Before I had my port I'd have the needle in my hand which was constantly falling out which meant more needles which wasn't fun for toddler me! So I had the op for my port when I was about three, I had it replaced when I was about eight because I'd outgrown it but since then *touch wood* no problems. It's also useful because when I need blood tests they can take them from the port instead of my hand or arm which is not one bit painful and they don't have to wriggle the needle round to get the blood (hate when they do that, it's like oi that hurts haha!) it's just really easy. 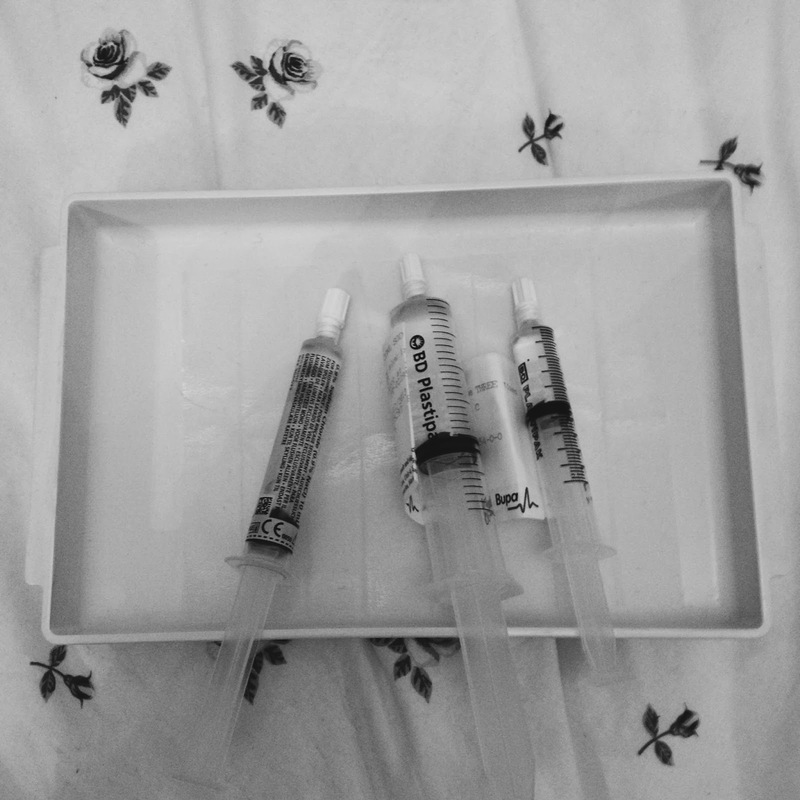 Anyway the drugs I'm on now are Tobi (the one in the bubble) and Ceftaz (the big syringe in the top pic, the others are flushes to keep my port clear and to prevent clots.) Tobi is done once a day and takes about half an hour to drip through and Ceftaz aka Cat's Pee is done three times a day, there has to be an eight hour gap between doses so I'm doing it at 8am, 4pm and midnight. You may have heard me talk about Ceftaz before, it truly is vile as the nickname suggests. Smells horrible, tastes horrible and because it's in your blood stream you can't escape it so you're kinda stuck with that til the IVs are over. I've had it countless times over the years but it still makes me physically sick it's so gross! It makes me feel very tired too but I don't seem to have any side effects with Tobi which is a nice change because other IVs meds make me feel rotten and worst of all they make my mood really low and sad so it's nice not feeling miserable and having random panic attacks! The extreme tiredness isn't too bad at all so I would say that this lot of IVs is actually kind haha. Obviously I can't work while I'm on them because I have to rest but work are totally fine with it, as always. I'm halfway through now, I have to go back to hospital tomorrow for blood tests because when you're on Tobi you have to have them to check the dose is right etc but I had them done last week as well and so far no problems so hopefully they'll be fine too! Hi Josie, thanks so much for explaining all of this imperative information to us. Its something so vital to you and I am grateful that you were brave enough to share it. I have been on IVs a few times and I know how disabling and painful they can sometimes be. You are an admirable and courageous person and I just know you will feel better soon because you are too strong for this! 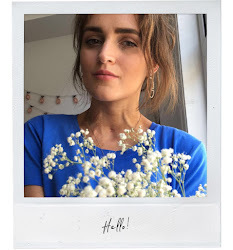 I always admire these posts from you and I hope you continue to write them. I would never see it as an attempt for sympathy. We all need to be aware and informed. Anything which brings awareness is doing the right thing.